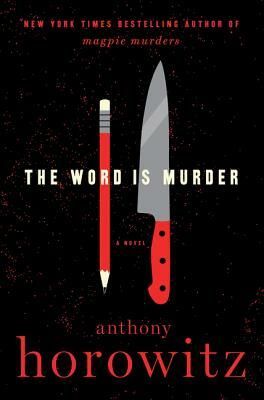 A captivating blend of fiction and nonfiction, The Word is Murder is a murder mystery done in a way that I have never seen done before. Anthony Horowitz, writer of the Alex Rider children's books, wants to branch out into writing adult novels. He has just finished his Sherlock Holmes novel, The House of Silk, and as he ponders what he will write next, disgraced Detective Inspector Hawthorne approaches him with an offer. Hawthorne wants Anthony to write about him and the case he is working on. Anthony is hesitant about the idea of working with the offensive detective until he hears the details of the case. A healthy older woman enters a funeral parlour to plan her own service. Six hours later, she is strangled to death in her own home with her curtain cord. With a past of mistakes and an enigmatic text sent right before her death, the case is riddled with questions that need answering. As Anthony attempts to work in the real world of nonfiction, he quickly realizes that he is at the center of a story that is beyond his control. This is a detective novel that is as unique as it is intriguing!